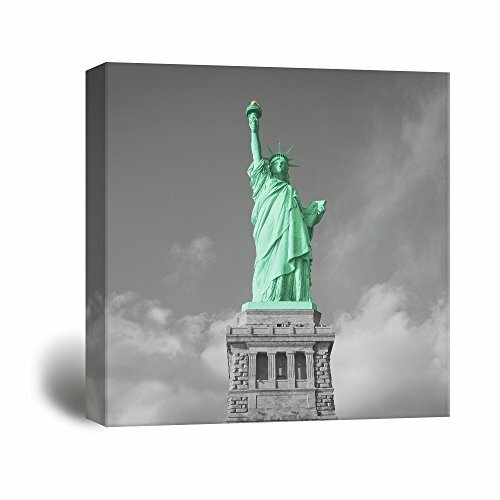 wall26 Black and White Photograph with Pop of Color of The Statue of Liberty - Canvas Art Home Decor - 24"x24"
Very nicely construction and beautiful coloring. Love this picture. Delivery was quick and was shipped well. Just like the picture showed. Highly recommend. Makes a nice gift ! This blanket arrived yesterday and I was so happy to see its size and the colour. 7-8 people can easily fit into it. It is made out of really high quality silk like material and serves my purpose. The color is very bright and the blanket looks really good. Can't wait to use this for our upcoming trip to Florida. I am very pleased with the blanket. Using this picture in my bathroom and the colors go great with my effiel tower shower curtain!! Was perfect for my black/white/pink Paris themed bathroom! Ready to hang, excellent quality, especially for the price! Would definitely recommend!